Today was so amazing that I don't even know where to begin! My kids were not just good, but PHENOMENAL! Every kid had some sort of outstanding moment of greatness today! 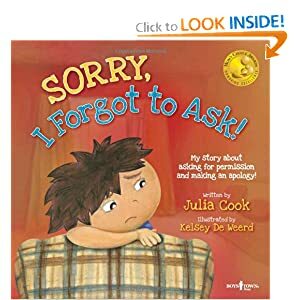 My new Julia Cook social skills books came in the mail and I brought them to school today. 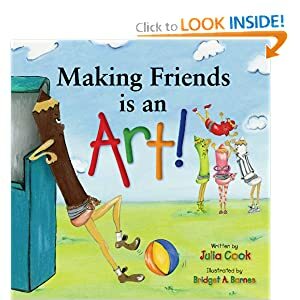 My little guy who asked for them (a kid asking for social skills book might be a SPED teacher's dream come true) was jumping up and down with excitement when he found them on our table this morning! He even asked if "RJ can watch me work." RJ is the main character in many of the books and my student wanted to keep the books next to him while he did math and writing today. Too funny! The best part, he summarized a story unprompted! He's never been able to do that!! This kid has a textbook case of autism and he is like my little miracle child this year. He's making so many gains it makes me feel like I'm really doing something. It's easy to feel like you're running in circles and not getting far when you teach SPED, but then you take a step back and look at where you started and jump for joy! 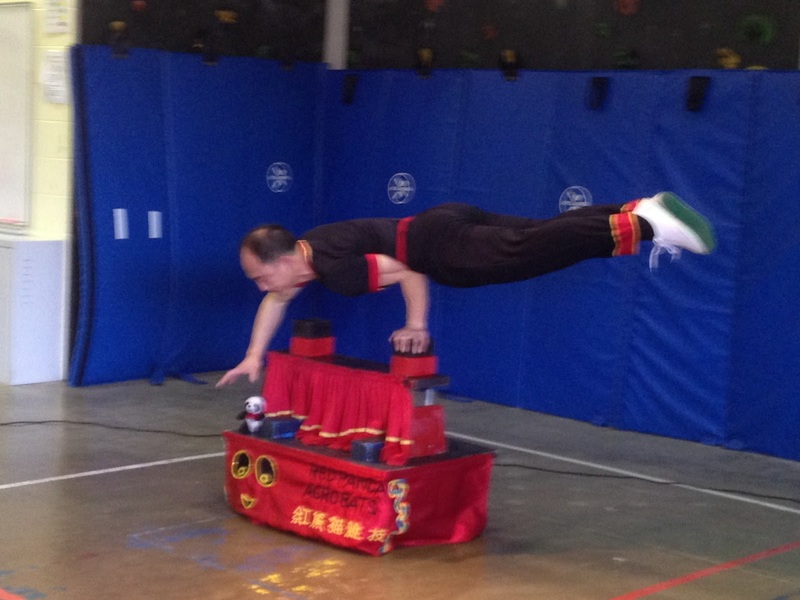 Red Panda Chinese Acrobats performed at our school today for an assembly. It was an hour long and my little guys were mesmerized for every single second! I'm trying to put a video of it here, but it's not cooperating with me. So there is a regular pic to see. Does anyone know a good way to send videos to parents? The file is too large to email. I have some with students on them that I don't think I should post on the open internet. 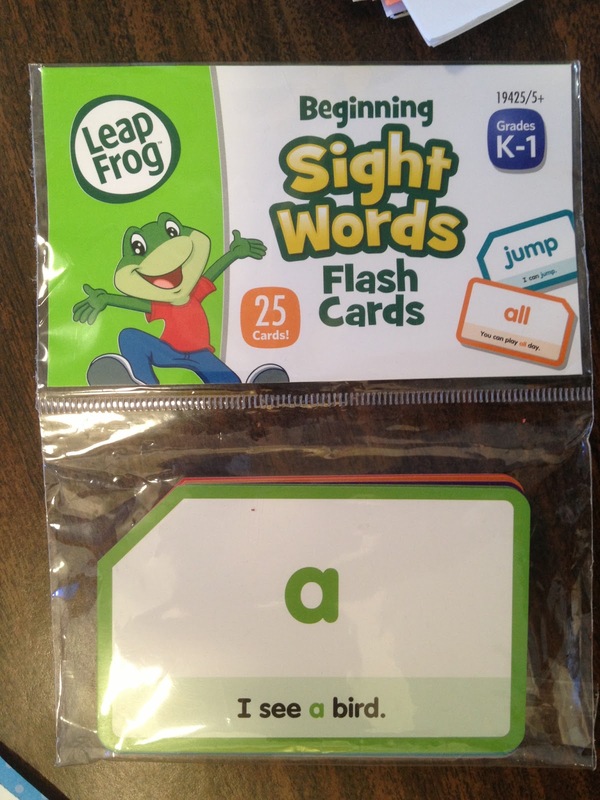 Target has some super awesome Leap Frog learning cards for $1! I also picked up cute little erasers to use as counters. 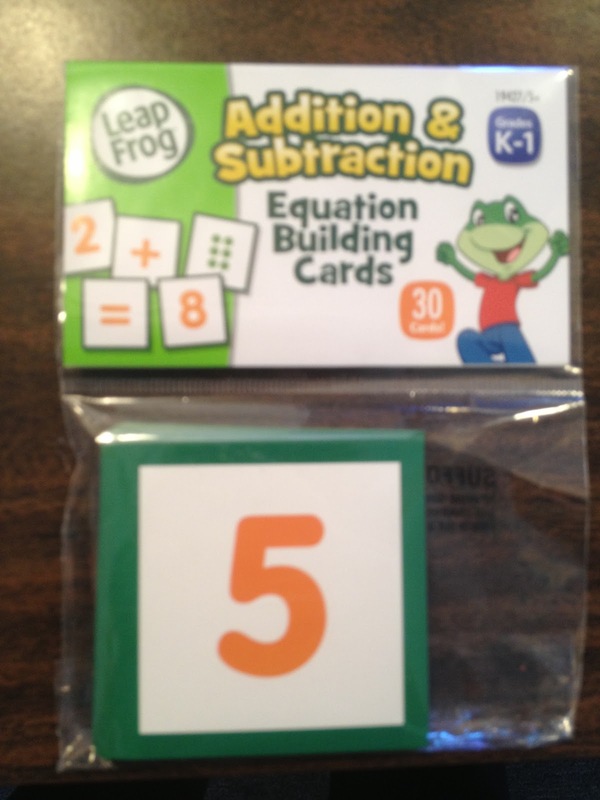 I'm starting to teach addition and subtraction to the kindergarten kids and these were perfect! 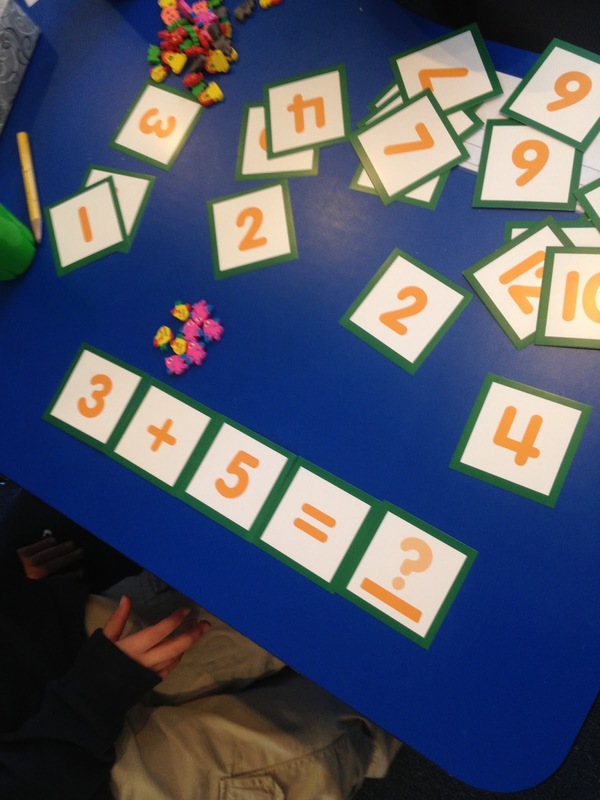 My next happy moment is when one little guy when crazy and started doing addition up to 14 independently! I think he'd have gone higher, but that was the most he had of each eraser shape. 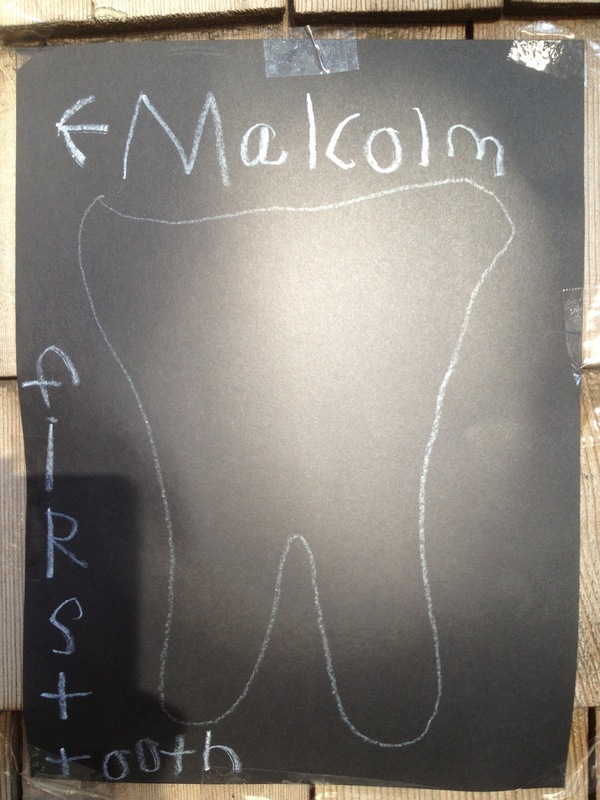 Last, but surely not least, one kid lost his very first tooth ever today! It was the most adorable thing I've ever seen! It was driving me nuts because it was barely hanging on and just needed to come out. I showed him how to pinch the tooth and pluck it out. I promised it wouldn't hurt, and after an uncertain look he gave me, he just plucked it right out! He was jumping with excitement and I got his first reaction with my camera to text his mom. She seemed very excited earlier this week about her first chance to be the tooth fairy. Another kid was super sweet and ran to get some drawing paper. He seemed to be on a mission, so I didn't stop him. This is what he created for his friend to show people the way to find the lost tooth! Adorable!! 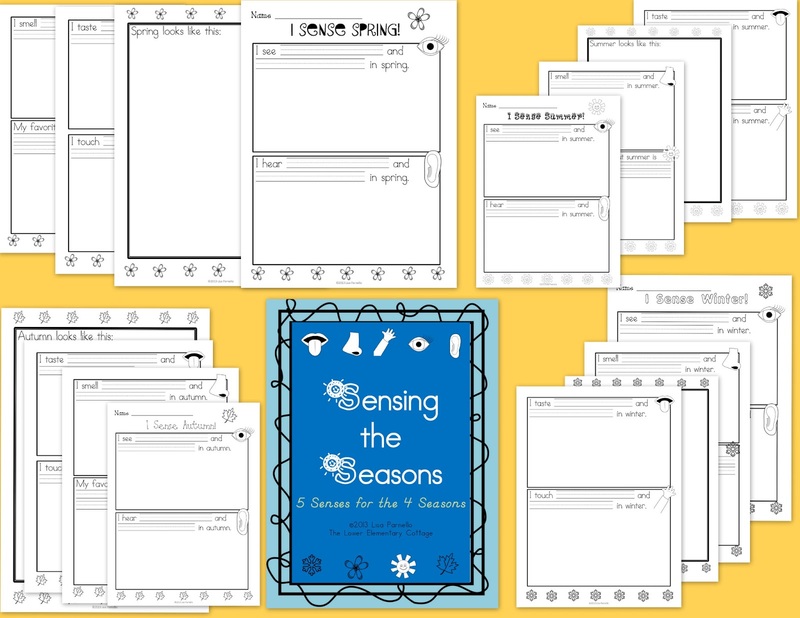 Last night I finished my Sensing the Seasons: 5 Senses for the 4 Seasons mini unit. My kids are super excited. Our introduction lesson went so well that I stayed up insanely late last night finishing up the rest of the unit. I continued the excitement today when I told them the best part (that I thought of on my way to work). We are turning this into a book! I don't know if I've mentioned this, but my kids think my binding machine is the coolest thing in the universe!! They love anything that means they get to help me pull the levers and make a book. In the beginning of the year, my kids couldn't really sustain a big project worthy of a whole book, so they haven't gotten many chances to use it until recently. This is a huge motivator because this book is 16 pages long! It's a way for me to secretly sneak in a lot of writing and the word "illustrate." Got a kid who struggles to work independently? Always asks for unnecessary help or worries about what what the other kids are doing? I have the solution! Today I put this on my little dude's desk and it was like miracles happened! Every time I caught him working hard, without asking for unneeded help, or worrying about a kid finishing faster, he got a happy face or star on his sheet. When he got 10, he got a prize from the prize box. He was super awesome! He did 3 math pages! Plus he refused to let me help him on reading. I think he did 5 different reading activities!! Accurately! YAY!! 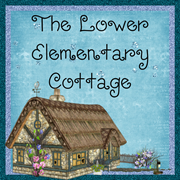 I got the image from Little Red's Vowel Sounds Clipart. I can't wait to use the rest of the bundle of images. There are so many things I can make! 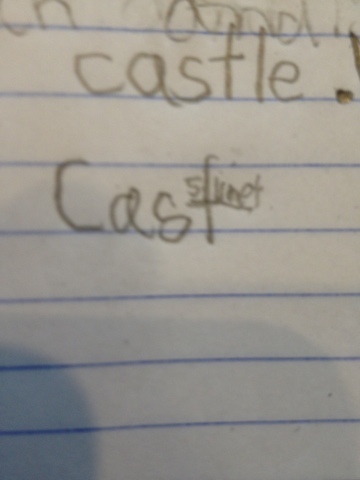 My funny moment of the day... You know I teach kids with autism when this is what happens during writing: the kid wrote "silent" ON the letter t in the word castle! Below is the close up and the whole story he wrote in his writing journal. 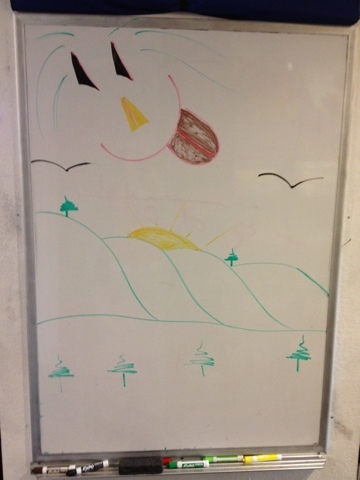 Today I started teaching the kids about the seasons and our sense at the same time. It was a TOTAL SUCCESS!! I had every single kid engaged! 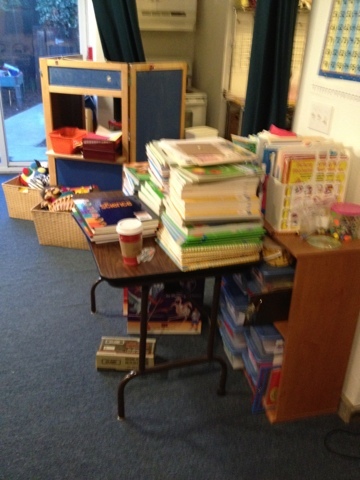 I'm not sure you understand how big of a miracle this is in my classroom! Before I forget:Go download the update for the Wigglebottom Response Activities if you bought it. Thanks to Stacy I discovered a typo and corrected it! Mix multiple kids with autism, and 3 grade levels and you get a lot of distracted kids who really don't need to learn the same things. It's rare that I can actually do whole group teaching because the academic range is ginormous (BTW apparently that's a real word according to spell check!). Anyway... my kids were loving this lesson! First, I reminded them about the seasons. (I used them as a writing prompt earlier in the day to get them thinking. 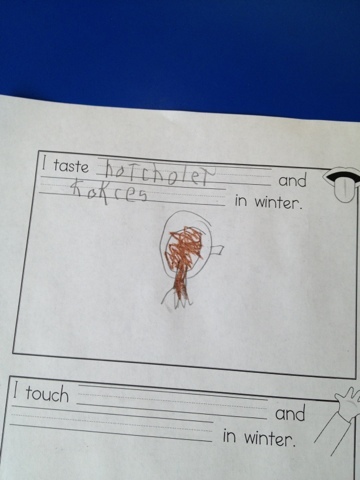 Each kid had to pick a season and write about it as much as they could). Then I had the kids brainstorm the senses. I started with touch, they came up with the other 4. I almost died of shock when my most severely autistic boy actually engaged and gave completely on topic answers! He gave us the last 2 senses when the younger boys got stuck! This is a miracle in itself. This little guy has NEVER answered a whole group question when I am standing at the front of the room instead of my chair in the middle of the U-Table. I literally squealed and jumped up and down! The kids laughed at me. I gave him a double high-5 and told him how proud I am that he was "keeping his brain in the group." That's a prompt from... Social Thinking (I think). So they all came up with the 5 senses. Then we started at the top of the list and said things we could sense. So first were things we could touch, then we all went around the group again and said something we could see, then continued until we got all 5 senses. Next it was time to mix our seasons and senses together. The kids laughed as I swirled my arms around to mix them up. 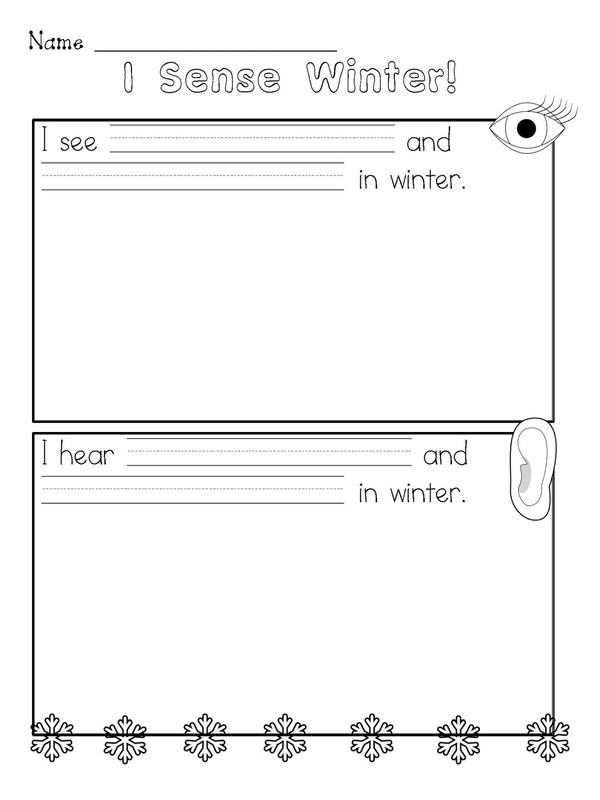 Next, I talked about how we sense different things during different season. 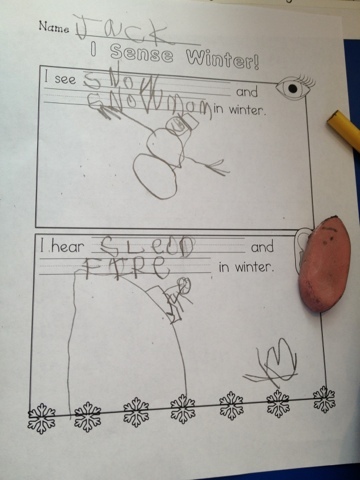 Today's season was winter and they all worked on their winter senses. Go grab this freebie. It's fun. Plus there are super cute illustrations inspired by this. Kid work is below for your pleasure. Random... I have one kid who is a little jealous about the 3 boys who have Focused Fred since they have started getting more prizes. I'd normally give him the same thing, but he's actually pretty great at staying focused on his work when he's in a good mood. His struggle is whining and asking for help when he can often figure it out on his own. He has a huge tendency to whine, ask for help he doesn't need, and compare himself to others. I'm working on a critter for him. I'm thinking "Independent Ivan" who is great at trying his best before asking for help, not whining, and only worry about himself, not what others are doing. Now it's time to find a cute image... And maybe another "I" name because I'm not sure I love Ivan. 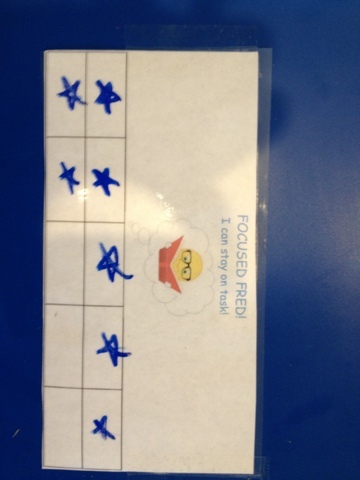 Then tomorrow my little guy will get rewards for acting like Independent Ivan (or other cute Letter I name). Last week I was brainstorming different little units I should teach during my social studies and science time and I was at a complete loss. Tonight I realized I should really teach the seasons because it hits standards for Kinder, 1st, and 2nd. I know many teachers do this in the fall, but I didn't get to it. 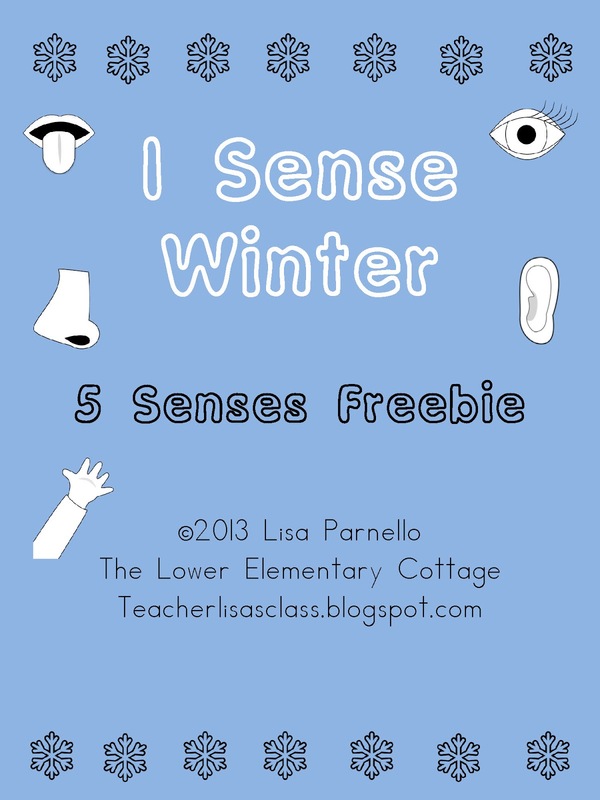 As I was reviewing our state standards, I also realized I need to make sure the kids learn about the 5 senses. Put them together and what do you get?! Tonight I created the first activity for this new unit. This one will be a *freebie* and then I'll put the whole unit up on TPT later this week. 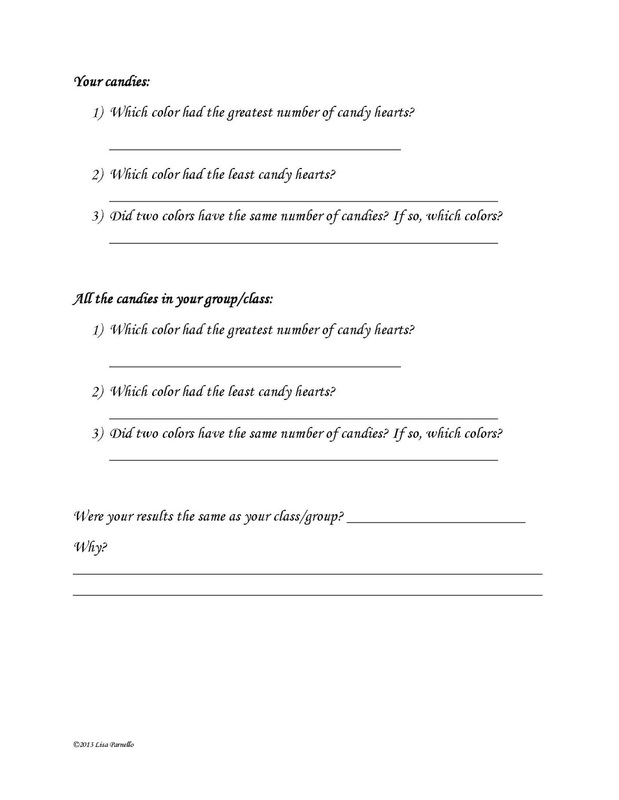 If you'd like to have this activity and others designed to go with each of the 4 seasons, check back later this week. Click HERE for the GoogleDoc or the images below for the TPT link. I'd love to hear what you think of this little activity! Anything you think I should add when I put together the full unit?? 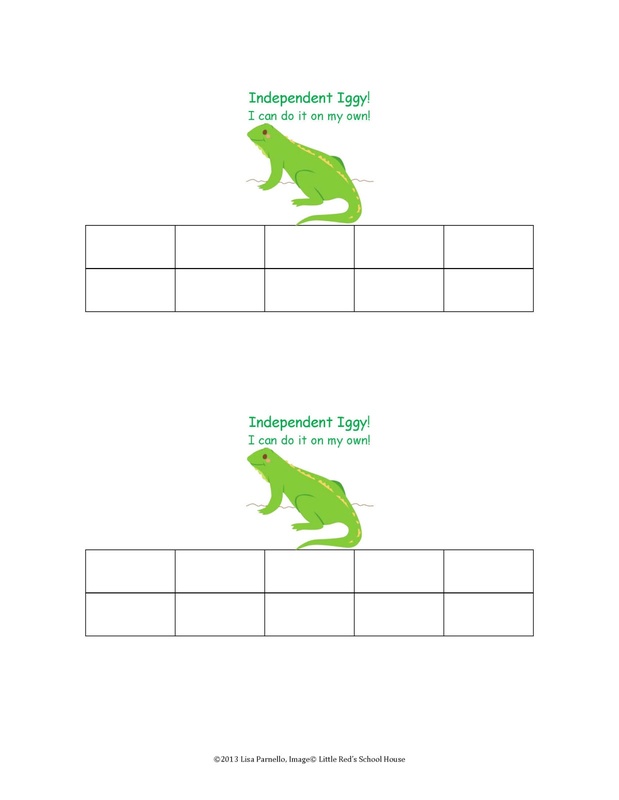 I made this for early learners, should I include a differentiated version for more advanced kids?? 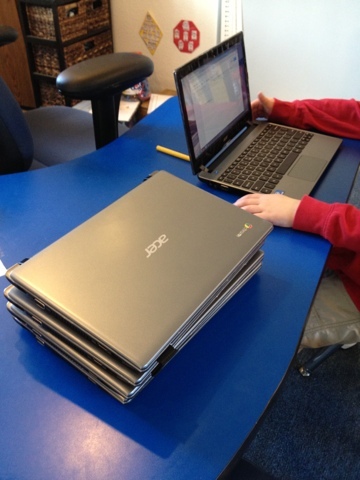 Google Chrome Laptops!! 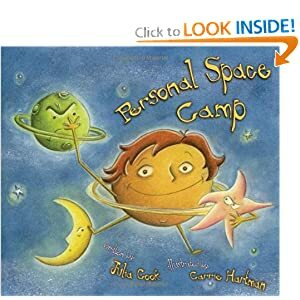 Social Skills Books for Kids! I'm SUPER excited!!! Yesterday as I was about to start writing time with my kids, the tech guy walked into my class with FIVE brand new Google Chrome laptops!! Never in my 7 years as a teacher, have I ever gotten 1 new computer, let alone 5!!!! My class and I were beyond happy! It's a brand new style of operating system, so I'm still figuring it all out. It works on the Cloud system so it saves everything as GoogleDocs and stuff. So apparently I can set up the kids computers to link to my school email and be able to access all their work from anywhere I can access the internet and my email. I should have brought one home this weekend to play around with, but I forgot in the midst of grabbing everything I need to do report cards this weekend. The kids played around with them yesterday afternoon. 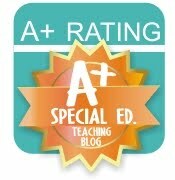 I put the kids on ScootPad and a few other learning websites we love to use. We're in the process of testing them out to help determine if the school should get more of them for other classes on campus. My friend teaches the class one level older than mine and her computers were even worse than the crummy ones I had. So I surprised her with my old computers since I have new ones. So my little guys seriously lack social skills! Each week my friend the speech teacher and I talk about the things they need to work on, and somehow the list never gets any shorter! I have 2 in particular...maybe 3... who am I kidding?? They ALL need some serious social skills work! 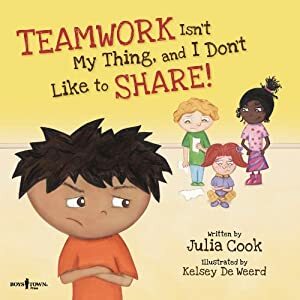 So I made my read aloud theme of the week "social skills books!" I always pick a theme (sharing, the nearest holiday, a specific author, etc.). 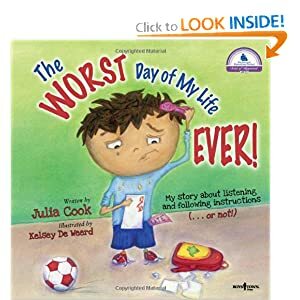 This week my author was Julia Cook. Her social skills books are amazing! Below are the ones we read this week. Click her name in this paragraph to get to her Amazon page with all her books. My kids loved them so much that one little guy begged me to order more! 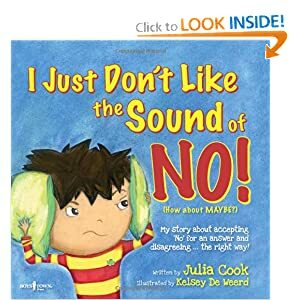 Now if I kid with Autism begs for a social skills book, do you really think I'm going to say no?! Two more are on the way! There is a widget below so you can scroll through all of her books and buy them from Amazon for pretty cheap! So right about now I should be working on report cards and updating my students progress on the common core skills... but that just doesn't sound like much fun on a lazy Sunday during a 3 day weekend. 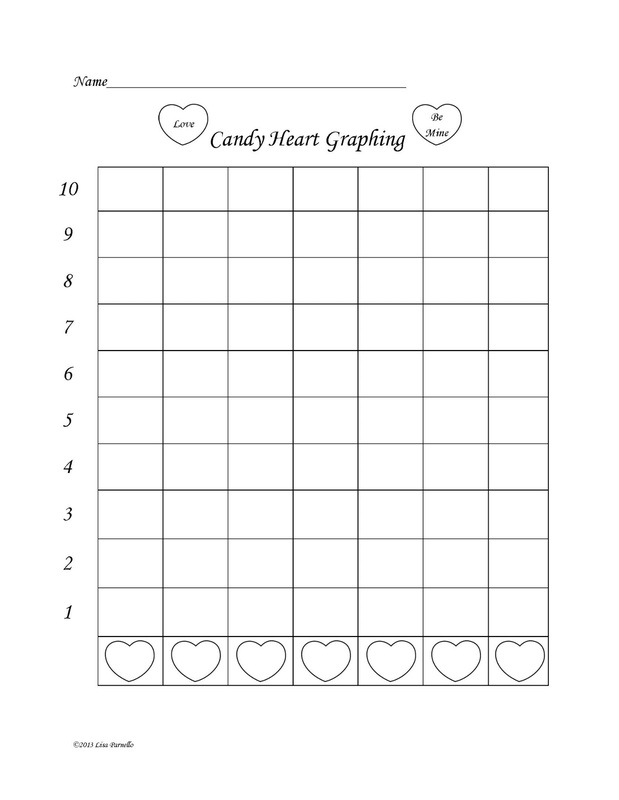 Instead of real work, I picked up conversation hearts at Target and made a new version of the heart graphing activity I do with the kids every year. I give each kid a box of conversation hearts and they have to graph how many of each color were in their box. You can also buy a big bag of hearts and pour some in little dixie cups for each kid (The boxes were $2.50 for 8 boxes at Target this week). Then we compare our graphs to see if we all had the same or different results (it's always different). Then we combine our graph totals to make a whole class graph to see which was the most popular color. You can grab a graph for your class too! Just click on the image for my TPT store, or HERE for a GoogleDoc. One little guy has been really struggling lately! He's having huge confidence issues and not finishing first has become a major trigger. At one point another student finished an assignment 3 seconds before him and he kicked, screamed, and tried to run away. It took a very long time to calm him down and resulted in me laying on the dirty ground hugging him in the hallway of our school for 15 minutes until he stopped crying. This kid loves super tight, squishy hugs and it turned out it's the only thing that will calm him down when he gets into his irrational tantrum mode. 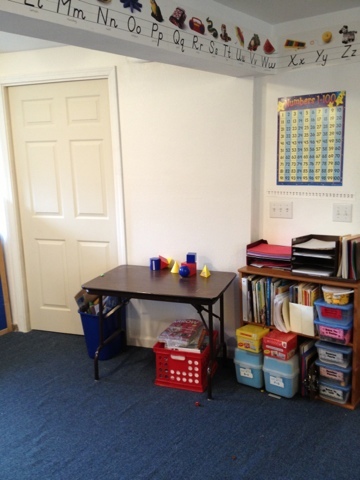 Do any of you have any great strategies to use with kids who insist on always being first? This week I started rewarding him every time he wasn't first and didn't complain/cry about it. I also intentionally made him dead last in line and gave him a prize when he didn't get upset. During work time I switched up the assignment order for him and his learning partner so he never knew he was ahead/behind. Ironically, when he wasn't freaking out about his classmate getting ahead, he actually finished quite early. When I gave him free time he actually asked me if he could stop and come back to the table to learn some more! I about died of shock because usually this kid tells me how much he hates working! I told him he just asked the a teacher's favorite question: Can I learn some more? and the answer is always YES!!! So now comes the real question... Do I keep mixing things up so he works harder and without tantrums because he never competes for first? Or do I force him to learn it's okay to not be first by praises and prizes for accepting second/last appropriately? I discovered this week it's become so bad that it's affecting his learning. He hasn't been able to learn our most recent sight words because of all the tantrums. So which is more important? The life skill of not being first all the time? Or the learning? Should I do 50/50?? Keep the work order mixed, but make him learn he can't always be first in line, games, and other activities? My whole class hit their DIBELS benchmarks!!!! Okay, well technically, one little guy hit 3/4 of his benchmarks and the last section he's in the intervention section. Either way, I still think that's AWESOME!!! I have this secret mission that even though I teach SPED, I'm determined to never let my kids fall behind in reading or math. 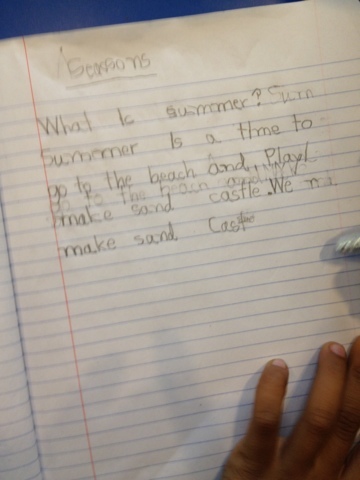 Now my mission is to work on comprehension with my fast readers, and blending skills with my little kinders. One step at a time! Now the end of the year assessment will be the true test. Now I have a secret... SHHH! 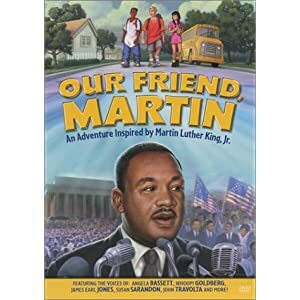 Don't tell anyone, but... Martin Luther King, Jr. is my favorite thing to teach all year! I really truly love teaching this theme! I love that my kids are so little that most of them have no idea who he was, and they find it amazing that things were so unfair before, and how the world is fair now (Yes, I know not everything is fair, but in the grand scheme of things, it's a heck of a lot better). 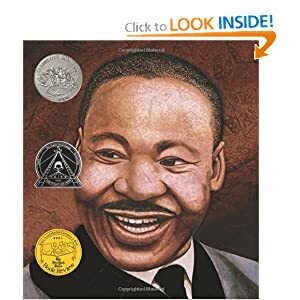 Today we read Let's Read About Martin Luther King, Jr. I'm not sure they make it anymore, but there is a new version that looks similar on the Scholastic site. The image is the link to the Amazon copies from sellers. 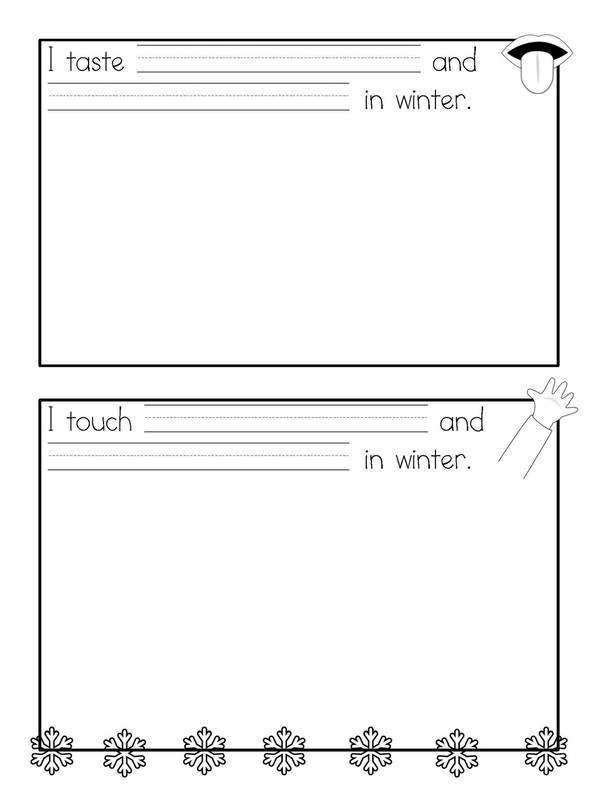 I really like that the words are simple enough for my kinder kids to point with their fingers as I read. Then we did "stop and think" to talk about the meaning and the history behind what happened in the story. If you count myself, my class is exactly half white and half kids of some sort of color. We talked about how a long time ago we wouldn't have been allowed to be friends, or to be in the same class together. I talked to them about how the laws were mean, and even police were mean because the law said we couldn't be together. 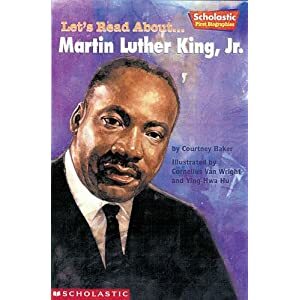 Then we talked about how Martin Luther King, Jr. helped make things fair like they are today. I have a young group so I really don't want to focus on the fact that he was killed. In previous years I had kids who were more mature, but not this year. One boy asked if he was alive and my simple explanation was that "mean people hurt him, so he's not alive anymore." Then we moved on. Martin's Big Words... 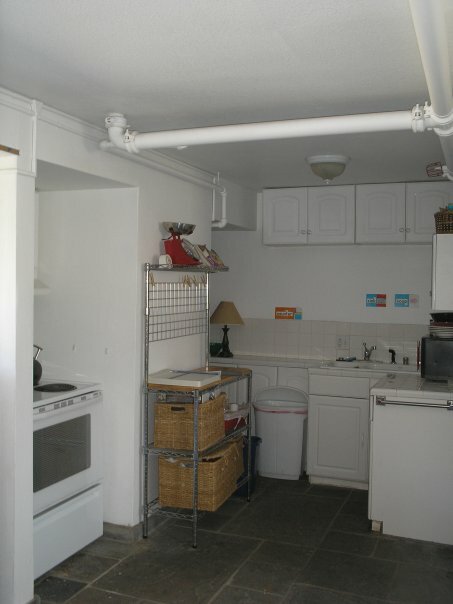 I don't even know where to begin. Such an amazing book! The illustrations, the concepts, everything! 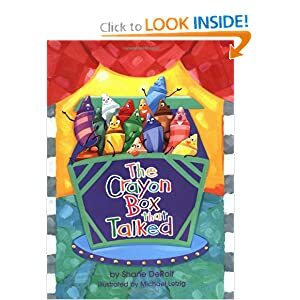 The Crayon Box That Talked, such a great way to teach about how color doesn't matter, and we're all special. Perfect for the little guys who aren't ready for the serious stuff. Our Friend Martin. This one is actually a movie. It is sooooo hard to find! It's the best ever and I still don't own it. We shared one copy at my last school. Now if I want it I have to check it out as a VHS at the library, or rent it from Netflix. 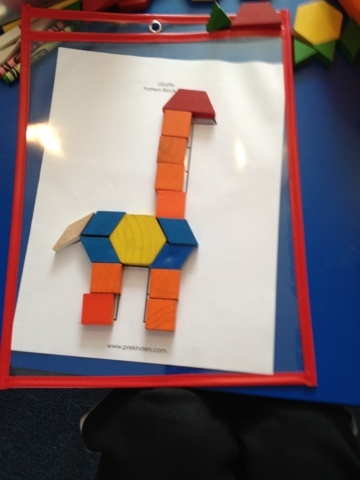 So what do penguins, shapes and intervention plans have in common? Not much other than randomness in the life of a K-2 SPED teacher! 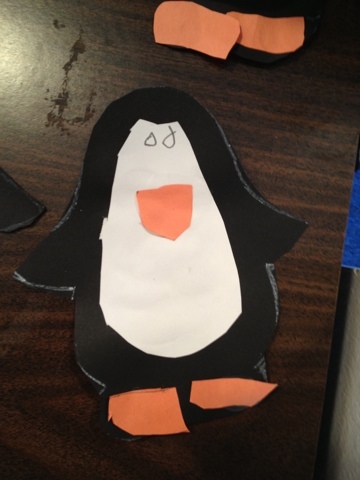 Penguins were our focus theme this week and the kids had a lot of fun. Then I had a great intervention team meeting, and your perk for my little meeting is a little behavior intervention freebie. 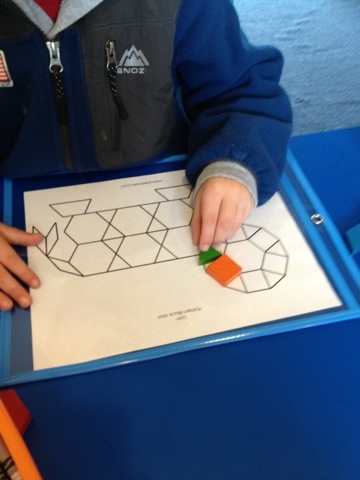 Then we started working on geometric shapes and did some fun centers. 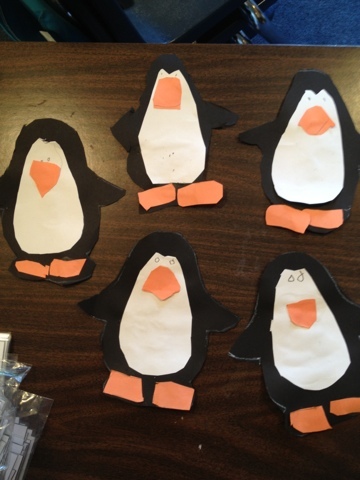 Check out our cute little penguins we made! I cut the shapes out of an old file folder and had the kids trace and cut out the pieces before gluing it all together. So I don't know about you, but I'm OBSESSED with Pinterest now! 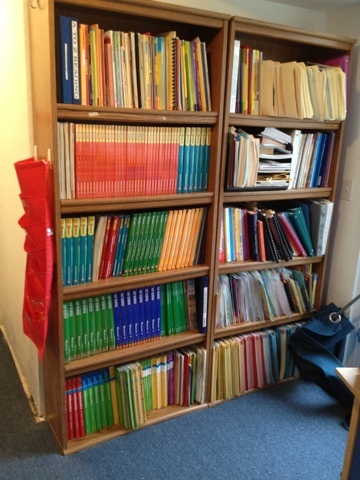 During the summer I had no idea what it even was, and now I don't know how I ever taught without it! There are so many great ideas out there, but they were all lost in the crazy world of cyber space until Pinterest put all those great things together in the world of pictures! I'm a very visual person/learner and Pinterest is just plain perfect for me! Prekinders is one of the many fabulous discoveries I've made. 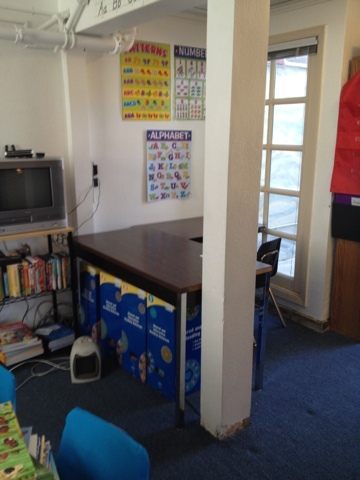 It's meant for preschool, but some things are great for kids a little older than that too! 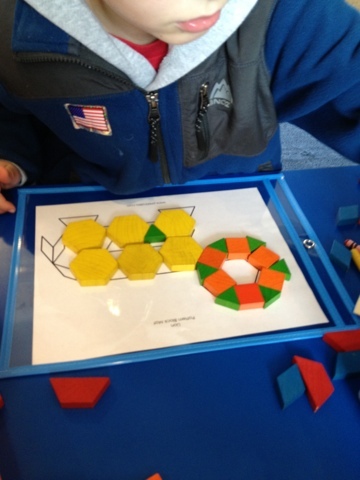 The pattern blocks printables are amazing! My students were entertained for an hour!!! They were begging me to print more! 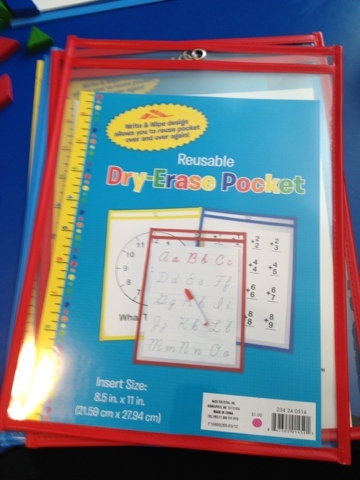 I used these dry-erase pockets I got on the dollar isle at Target during back to school time. It saved me time it would have taken to laminate all of these. 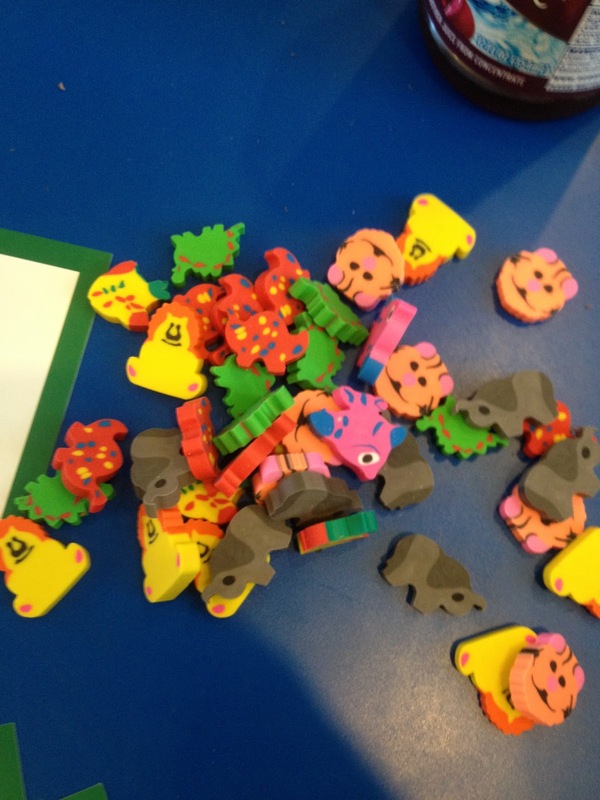 I put two in each pocket and the kids just traded them around after they finished making the animal shapes on both sides of their clear pocket. Part of my intervention plan was to work with my student during some "special time" together so we could create a feelings sheet for him to complete when he makes a bad choice. It's amazing how calling anything "special time with the teacher" makes the kids instantly think it's fabulous to have them all to themselves! We actually talked about this during our meeting. A (great!) doctor for kids who are twice exceptional (gifted/autism, adhd/gifted, etc) came into my class to observe a kid I've been struggling with. This kid is beyond brilliant! Quite possibly the smartest kid I've ever met, but with that comes it's own challenges... So this Dr. comes in to observe to get a better idea of what's going on. One of the things that shocked me was when the doctor said "He clearly adores you! I never saw one thing that indicated otherwise!" To be clear, the kid was far from an angel that day, and he's tested my every nerve and teaching strategy this year. But Mr. Doctor Guy pointed out that it's like he loves me so much he doesn't want to share me. Which suddenly makes sense to me. Sorry, I got on a tangent there for a minute... So the doctor's suggestion was that I work with my little guy to create a form for identifying feelings, identifying the problem, and brainstorming solutions. The point was to make it feel like it was the kid's idea to make this thing, in the hopes that he'll buy into using it everyday. So my little guy and I used our special time to make this together! He came up with all the feeling words himself. Please note the complexity of these words and he's only 5! The very bottom box is the list of suggestions for things he could write in the "things I could have done" section. Animal images at the top of the page are from KPM Doodles. Time to do some serious lesson planning. 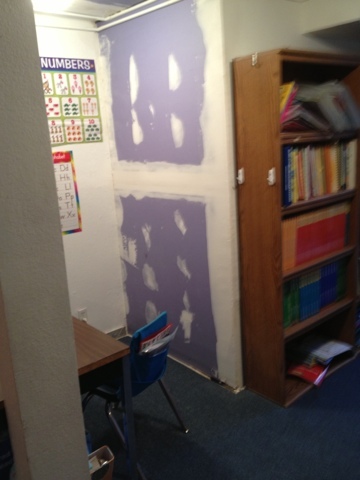 I've been told there will be more construction and painting in my classroom this weekend, so I have no idea what disaster I'll be walking into when I walk in tomorrow morning! 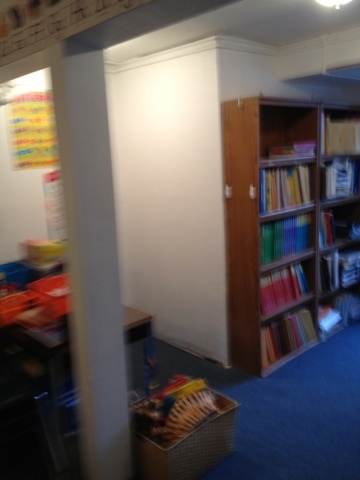 I'm making sure I have everything ready now, so I can fix/clean up my room when I get it there. Crossing my fingers that it's not too bad. Plus I'm looking forward to the new cabinet they promised to give me! I don't even have a clue what it looks like, but no teacher complains about more storage! !